This topic contains 11 replies, has 3 voices, and was last updated by marco.foletto 3 months, 1 week ago. 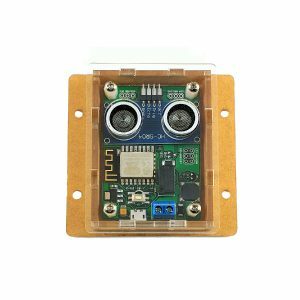 I’have been using an Opensprinkler device (hardware 2.3 DC and firmware 2.1.7) for a while now and I find it very useful. Some weeks ago I got the notification about the availability of the new 2.1.8 firmware version. The last time I did it I used the Windows version of Opensprinkler Updater, but now I normally (just not to say always) use Ubuntu and I would like to try to use the Opensprinkler Updater in Linux. 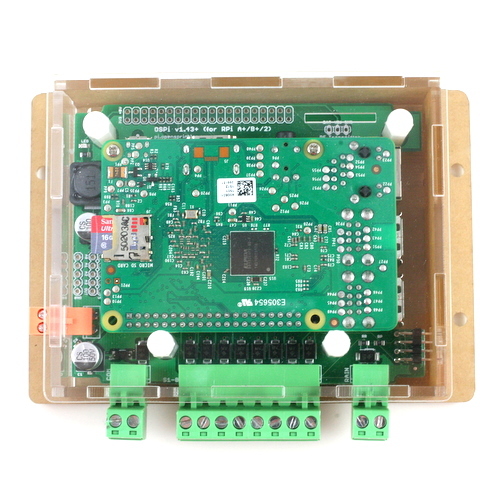 I followed the Opensprinkler Firmware Update Guide and so I downloaded the Linux 64 bit Opensprinkler Updater program, but then I don’t know how to proceed: the guide says to install the software but I don’t know how to do it. I’m sure a Linux enthusiast but not an ICT expert, I’ve always installed program in my system from remote repositories or, just very few times, with single deb files. 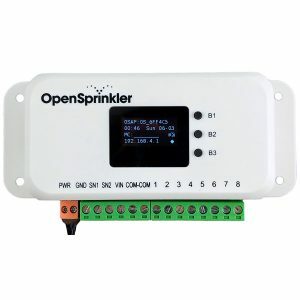 How can I install the Opensprinkler Updater? If I click the download button I obtain a compressed folder without any deb file inside. In the future (e.g. for 2.1.9) you can update it using the alternative updater. The firmware update page, scroll to almost the bottom of the page, there is a link to the alternative updater, which supports all operating systems. OK so the 2.1.8 firmware would not affect the functionality of my OS 2.3 DC. But because I have received, and I keep on receiving it, the notification in the app about the firmware update I was going to do it. – run the program as root using sudo in order to gain USB permissions. Maybe could be good to adapt the text of this webpage making clear that people who use Linux have to use the alternative updater. The downloaded file is a Zip file — you just need to unzip it, and there is an executable (called OpenSprinkler Updater) there. – I know I have to run it as root using “sudo” (it’s clearly written in the OpenSprinkler Firmware Update Guide) but I don’t know exactly how to run it! I searched around but I don’t find a clear guide to understand how to run such a file in Linux. Should I launch it in the terminal using sudo? It doesn’t work for me, or maybe I did it in the wrong way. Please, if you think, specify a little more what should be done to “Run the program as root using sudo in order to gain USB permissions”. You said it doesn’t work — can you please paste the error message? ‘Doesn’t work’ does not really give me sufficient information about how to help you fix it. thank you for trying to help me even if this is not a priority issue and I apologize for this late answer. I wrote a generic “it doesn’t work” because I thought that once I knew the name of file to launch I could try solve this issue by myself. I recently tried again but without success. So, I don’t know how to proceed. I think it could be good to document a little more this point of the procedure to help who, as I, is not so expert. This reply was modified 5 months ago by marco.foletto. Sounds like you don’t have sudo installed on the machine. Try: apt-get install sudo or whatever package manager your system uses. Modern operating systems all support file names with space characters (we are not in DOS era any more). Generally when you type a file name in command line, you can type the first few characters and press TAB to let the system auto-complete the file name. You can’s directly type a file name with space characters without escape characters — otherwise it would think the spaces separate command line arguments and will not treat them as part of the file name. The auto-complete will add escape characters so that it recognizes these are space characters in the file name. Or you can put the entire file name in quotes. We assume that anyone who uses the Linux version would know these basics. If you don’t you can always google the question to find out (such as Google “how to type file name with space in Linux”). @ray I’ve been using Linux for more or less 10 years now, as a simple user and surely not as an expert, and it’s the first time I see a program file with spaces inside its name. Sure, I was not aware about that, but I think this point should be better documented in the instructions about the use of the OpenSprinkler Updater. 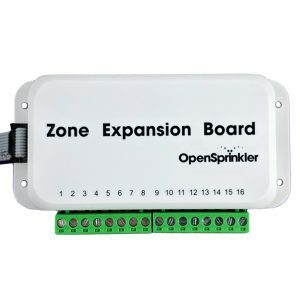 Anyway, there’s no real need to solve this problem because there are more alternative ways to update the Opensprinkler Firmware, but I would be happy to find the way to launch this program. Which could be the issue that stops me? Thank you for your advice. Bye. If you don’t include ./ it will only search in system paths, and as I said a local path is not by default included in system path. Hi @ray, thank you for your answer. It seems the last suggestion you gave me was precious to make some steps ahead (yes I didn’t know about the need to add “./” to the command if the executable isn’t in a system path) but I still have problems trying to run the “OpenSprinkler Updater” software. I’ve google a little (https://github.com/balena-io/etcher/issues/2191 and https://github.com/balena-io/etcher/issues/1305) and I’ve read that in Ubuntu 18.04 the libgconf-2.so.4 is missing. I guess that if I would have not upgraded my OS recently, I could successfully run ‘OpenSprinkler Updater’, but now with Ubuntu 18.04 it doesn’t work. This reply was modified 3 months, 1 week ago by marco.foletto.